Making a quilt out of pretty vintage fabric is on my to do list. I am so impressed with Amy's! It looks great!! 4. This adorable fox. You can buy a pattern to make own of your own :) I love the fabric on this little guy! 3. The Red Velvet Autumn dress line. It was so hard to choose a dress but I ended up grabbing a "Sewing Kit" dress. I can't wait to wear it! I know quite a few blog pals who purchased something and I also can't wait to see them wear what they got! I am so excited for Elsie and the whole Red Velvet gang, they are doing great things! I really love purple at the moment. So pretty! 1. Meredith's rainbow cake pattern. Today I have a little "business meeting" then it's a busy day full of blog stuff, cupcake baking and hanging out with a friend! Sounds like a great Friday to me. I hope you all have a good one too! aw the fox is sucha cutie! Aww, such pretty things! I saw that quilt on Amy's blog and was so blown away! It's so cute! Quilting seems really hard but she did a great job. 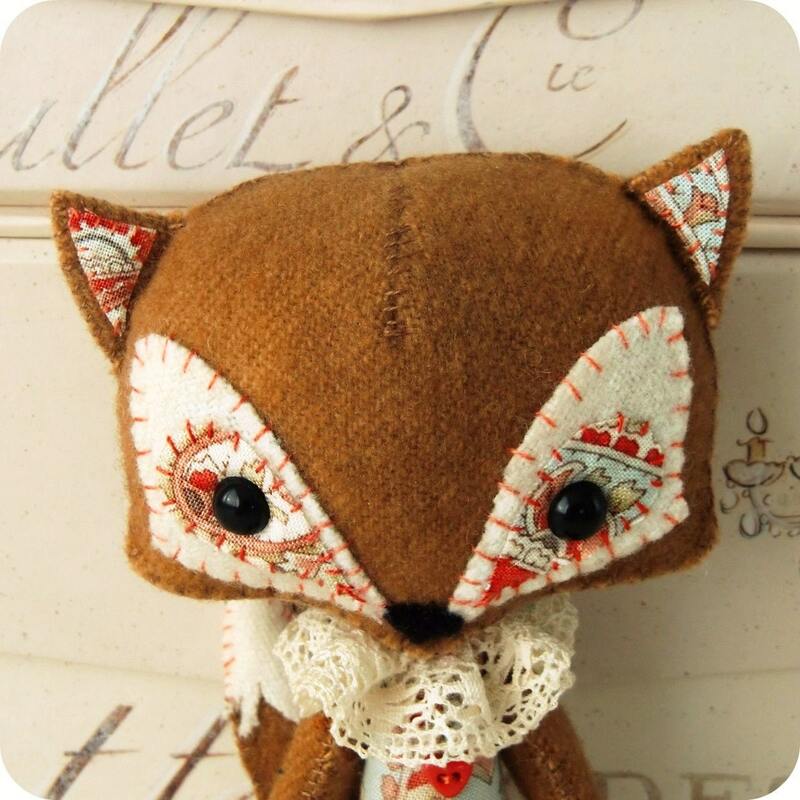 And I have to make that little fox! I just love those shoes + the crochet cake!! How cute!!! I love this post! Amy's quilt is fabulous isn't it? So glad you were able to snag one of Elsie's dresses, can't wait to see you in it! That sewing kit dress is wonderful! you are such a champ. Thanks so much for featuring my quilt! And I can't wait to wear my flower shop dress. Maybe we need to have a Red Velvet dress swap. Eeee! I am in love with the first date dress! Enjoy your weekend! Cupcaking (that's probably not a word,but I just made it one!) ;) sounds so fun right now! The fox is super adorable! eek i can't wait to get my teacher's pet blouse! can't wait to see you in the sewing dress, you are gonna look dynamite in it!